Presentation of new industrialized processes for unique concrete production realized through TailorCrete research. 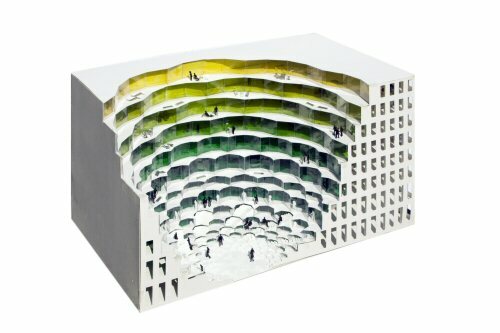 TailorCrete will initiate a transition from the rectangular monotony of today's industrialised concrete buildings that dominate the European landscape, to new industrialised unique concrete structures without the need for expensive and labour-intensive manual construction processes. This will be achieved by developing new industrialised processes for concrete, and thus play a significant role in transforming the construction sector from a resource-based to a knowledge-based industry. Left: Dominating geometry of today`s urban landscape. Centre: A prestige unique concrete structure. Right: Handmade formwork for producing the unique concrete structure shown at the centre photo. TailorCrete combines the knowledge resources of architects, designers, concrete technologists, civil and structural engineers, robot experts with the practical experiences of key players in the construction sector in a 4-year collaborative research. It will involve intensive testing and validation of results at laboratory scale and in full-scale demonstrations in experimental buildings. 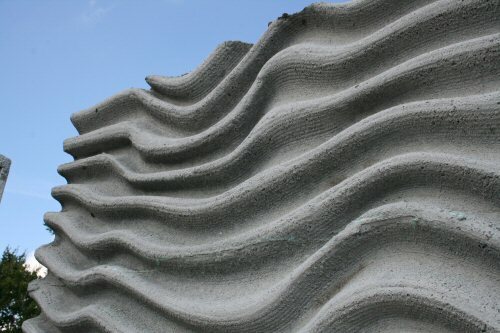 TailorCrete will develop a core of new technologies including digital architecture, new formwork and reinforcement systems and materials as well as digital fabrication tools to radically change the way concrete is currently produced and used. These technologies will replace the use of traditional formwork and thus enable greater flexibility in producing singular concrete structures with different geometric designs. 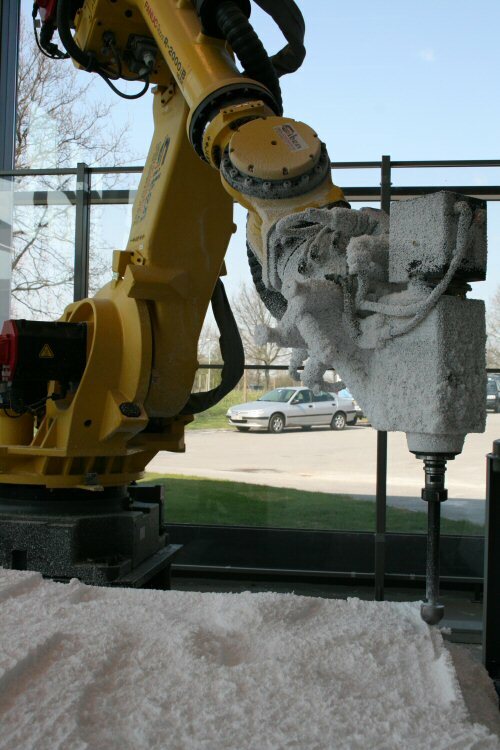 Through the development and use of self-compacting concrete with robots, a link will be created between digital design and the fabrication of materials and components and ultimately to the on-site construction processes.